I thought it would be interesting to discuss workout plans and motivation with a fitness instructor. It is true that as an instructor we “have” to be at class, but motivation can still be a factor as the seasons change and as life gets busy. 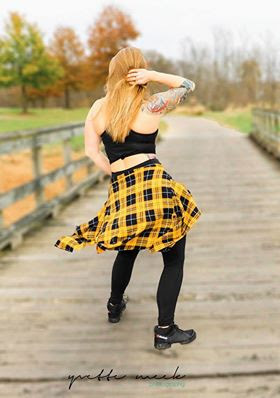 Zumba™ Fitness Instructor Megan Anastasio talks about staying motivated. 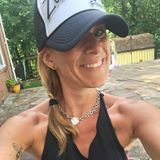 "I have a set workout plan along with all of the classes I teach. I am also really into strength training and weight lifting. It has really made me push myself to be something better and become stronger. I also lift with my best friend and she helps keep me motivated. We work off of each other. The advice I would give to anyone that has plateaued in their plan is to change things up. Change the workouts you are doing. Make sure you are doing cardio and strength training. Change up how you do your workouts so that you are always tricking your body into burning more fat and gaining muscle." 1. Plan ahead! Make exercise part of your day and set a plan. 2. Find a workout Buddy! Meet a friend at the gym to provide accountability and motivation. 3. Change it up! Changing your routine not only keeps things fresh and fun, but helps your body burn fat and build muscle. Along with teaching Zumba Fitness classes, Megan is a runner! I asked her how she went from a leisure runner to a marathon runner. “I started running in college because I didn’t have much to do to get a workout in. Once I moved back home and was going to the gym more I started running more. I found myself running 5ks with my sisters and falling in love with it. I then ran a 10k and was happy that I accomplished that. My next step was the Army 10 miler but it is really hard to get into that race because it sells out so fast. So I decided that I was going to train for a half marathon! I ran my first half last year and it was one of the best fitness accomplishments I ever completed. I will definitely be running more of them." I also wanted to know how she keeps her class participants motivated. "I love fitness in general and am open to trying new things. I love the results I get from cardio with Zumba and also strength training. I also teach body works and I love pushing my students to the next level. I make sure my class is always something different so it keeps the class entertained and their muscles constantly working. It’s good to have more than just Zumba™ as something that keeps you fit and motivated." Finding your squad and setting goals are so important to the success of your fitness plan! I always see Megan at the gym even when she isn't teaching. Most recently I was at the gym at 8am on a Saturday morning and ran into her. She was there with her workout buddy ready to hit the weights! She definitely set her alarm, and made her workout the start of her day! She certainly does what she says and is sticking to her fitness goals. "My fitness goals are to continue to grow as an instructor and keep my students happy. As well as continuing to run half Marathons and getting stronger while doing my strength training."